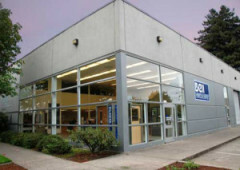 Bell Hardware is a third-generation, family-owned business in Klamath Falls that grew from one hardware store in the 1930s into a significant supplier of commercial grade doors systems with its own fabrication operation. 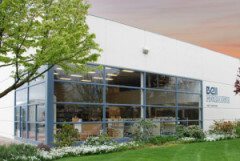 Today the company supplies customers in Oregon, Northern California, Southern Washington and Nevada with commercial-grade doors, frames and specialized hardware. Products from Bell Hardware have been incorporated into impressive structures such as Autzen Stadium in Eugene, Facebook data center in Prineville, and Adidas in Portland. 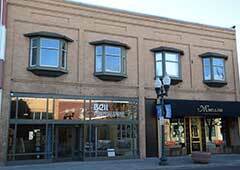 Bell Hardware recognizes several distinct advantages to having its hub in Klamath Falls. President John Bell especially appreciates the high quality workforce and says they enjoy a low employee-turnover rate with most managers staying between 20 and 40 years. He has full confidence in the quality of their shop employees as well. “I would put my crew up against anyone in the business, any day,” he says. The Klamath Falls market provides consistently low operating costs for Bell Hardware, including reasonable wages, rent, utilities, and other expenses. The company also says it has had favorable trucking and delivery arrangements because of the town’s location on Hwy 97, which begins at I-5 in Northern California and connects to I-84 along the Oregon-Washington border. 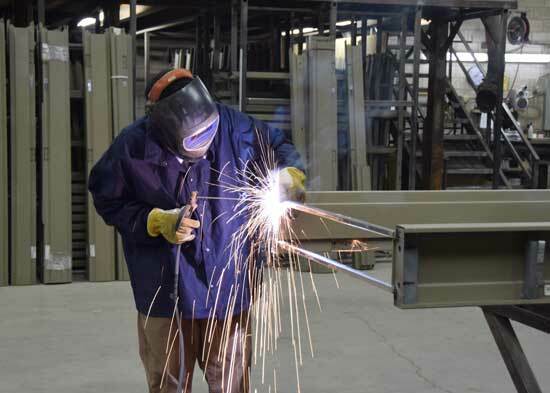 So how did this company transition from a one-store retail business to a booming fabricator that supports seven branches totaling more than 70 employees? About 20 years after the family began as a retailer on Main Street, the founder’s son joined the business with a vision to expand into the commercial hardware market. They purchased a building a couple of miles from the store so they could begin producing metal frames and doors, and eventually architectural wood door systems. 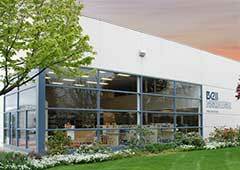 The venture was so successful they opened sales branches in Medford, Eugene and Redding between 1973 and 1986. 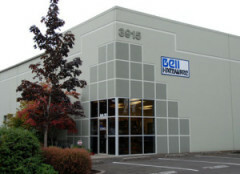 Bell Hardware’s growth continued as the third generation of the Bell family entered the business and led the opening of offices in Bend, Portland and Salem from 1995 to 2000. Today the company’s portfolio of products includes a variety of doors and frames with specialized locks, closers, and exit devices for hospitals, hotels, assisted living, government buildings, schools and other buildings that require numerous technical specifications such as fire ratings, panic bars, and accommodation of electronic controls. Each Bell Hardware branch handles project estimating, sales, installation and service for large-scale projects, while Klamath Falls remains home to Bell Hardware’s headquarters and showroom downtown and its distribution and hollow metal fabrication shop on Broad Street.